As a doctor, medical practitioner or hospital, your online reputation can be affected by unfair reviews. Legitimate reviews may turn away future patients and clients, which means that they must be dealt with promptly. This is the reasons that Online Reputation Management (ORM) is necessary today!! Why Hospital Reputation Management Is Necessary? These days, most of the patients use the Internet to find good hospitals, doctors, physicians, surgeons and medical institutions nearby their places. So, ignoring this fact will definitely put the future of your practice at a greater risk. Therefore, it is the right time to start reputation management immediately. 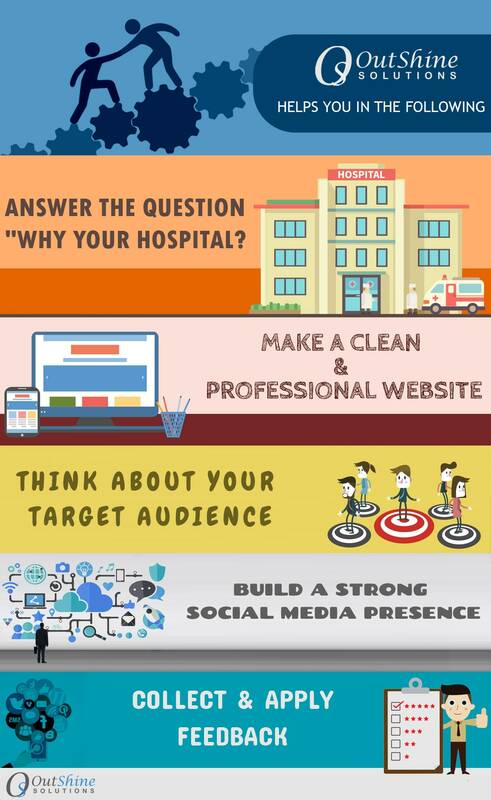 Whether you are a big hospital or an individual practitioner, we at Outshine Solutions can help you restore your online reputation by targeting negative reviews and content. We guarantee that when people search for your services on the web, they don’t find a search page full of fake reviews or comment rather than your hospital or practice will be described in the best. We review and respond to critical action queries quickly and assess all future risks as well. We’ve successfully helped a large number of hospitals, doctors, and individual practitioners take back control of their reputation by minimizing damage and protecting against future attacks. With a unique blend of SEO, SMO, and Online PR, we’ve developed a proven process for removing negative reviews or replace them with positive ones and strategically respond to any negative content. Our Hospital Reputation Management services deliver results every time and that’s why you should choose “US”. Our ORM services are designed to counteract negative reviews and stuff. Whether a potential patient or family member of a patient is looking for doctors or physicians, you don’t want them to see the bad reviews at the top of their search results. We, at Outshine Solutions, identify and remove negative online stories from Google. Negative comments or reviews can have more influence than positive once do. So, it’s imperative to be proactive about your hospital’s reputation management. If you need help with hospital reputation management, contact us today. We’ll help you assess, plan or implement an image management campaign to help your hospital or medical institution put its best face forward.